The Westford Dog Ordinance is a legal, civil ordinance. · Dog What is a dog? It includes not only the Canis Lupus Familiaris (Domesticated dogs), but also any wolf hybrids. · Wolf Hybrid. Dogs are a subspecies of the Canis Lupus family which includes wolves and coyotes. Domesticated dogs can interbreed with their wild cousins, and these offspring are sometimes kept as pets. 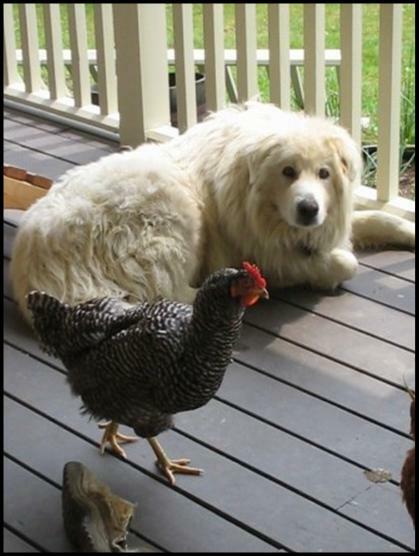 These hybrids are seen as “Dogs” under the Westford Dog Ordinance. · Owner: An "owner” is anyone who not only has legal possession of a dog, but also those persons who provide food and shelter to dogs. Meaning: if you provide a stray dog with food/shelter, you are now the dogs owner and must now follow all the rules/regulations set forth in the Westford Dog Ordinance. 5. clearly under the verbal or non-verbal command/control of the owner. 3. Any dog running at large, which attacks any person or other domestic pet. · Authorized Enforcement Official: Whenever the ordinance uses this term, it is referring to the dog warden. All dogs, 6 months of age and above, which are owned by Westford Residents, MUST BE LICENSED! Late Fees are assessed on all owners who have not registered their dogs by April 1st. When dogs are impounded, they are kept at a site designated by the Selectboard, usually kenneled at the dog wardens’ property. If owners refuse to voluntary give up any dogs marked for impoundment, then a search warrant will be issued, and along with the services provided by the State Police of Vermont, the owners property will be entered, searched, and then apprehend/impound any dog in violation of the Westford Dog Ordinance. Whenever a dog is impounded, all fees, penalties and other liabilities connected with the act of impoundment is now the responsibility of the owner. Impounded dogs will not be released until all of these penalties are paid. This sum may become quite substantial the longer a dog remains impounded, since it will include the costs to feed/shelter the dog during this time. Whenever a dog is marked for possible impoundment, the Dog Warden will attempt to determine the dogs owner and notify them of the impending action. If the owners are unknown, written notice will be posted for at least 3 days at the Town Office, Post Office, the General Store, and finally posted in the local newspaper. Whenever a complaint is received about a dog biting a person, it is at the dog wardens discretion to impound the dog in question. Dogs that have a current rabies vaccination certificate will be evaluated for a period of 10 days in order to determine if the dog is rabid, after which the dog can be reclaimed. The owner will be responsible for all costs incurred if the warden felt it necessary to impound the dog. If the dog in question did NOT have a current rabies vaccination certificate, if rabies is suspected or if it attacked another animal suspected of having rabies, then the situation differs. Owners will be notified within 24 hrs of the impoundment. The Dog Warden may authorize any dog to be killed if he/she reasonably suspects it to be rabid or has been exposed to rabies. However , if it has been determined that the animal is not rabid, or has not been exposed to rabies, then the dog may be released back to the owners. If the Dog Warden believes it is impractical to confine or impound the dog, or if the owners of the dog cannot be located, then the warden has the legal authority to kill the dog. This is why, it is of the utmost importance, that all dog owners keep their pets up to date with their rabies shots as well as being sure they are always wearing a collar with an I.D. tag on it! Any dogs impounded by the Dog Warden must be kept for at least 7 days, 10 days if it involved biting but has a current rabies certificate. If the owners cannot be located after this time period, or if the owners does not reclaim the dog, the Dog Warden has the authority to determine the dogs fate. The warden may choose to give the dog to the Humane Society for adoption (if possible), or have it destroyed in a humane way. The Selectboard may choose to collect any/all fees involved in the impounding by pursuing civil action against the owners. What happens when the Dog Warden received a complaint about a dog in violation of any of the items in Section 4 of the Dog Ordinance? (barking, causing a disturbance, etc.) Usually warnings are issued for the first offense. But what happens if the Warden receives more then one complaint on a single dog on more then once occasion? Or what about dogs which have bitten people causing injuries requiring medical attention? On these occasions, the Selectboard will hold a hearing to investigate the situation. The owners of the dog in question will be provided with a written notice of the time, date, and place of the hearing and a copy of the complaint on their dog. At the conclusion of the hearing, the Selectboard will issue its findings and requirements to the dogs owners. If the owners fail to comply with these requirements, the Selectboard will authorize the issuance of civil penalties (see section 11) which may eventually led to the confiscation and disposition of the dog. All complaints received must be in writing, and describe the dog involved, include the dogs name and the owners if known. The date, time and location of the alleged threat, attack, bite or other disruptive action should be described in detail as well as any injuries sustained. The person making the complaint must give their name and address, as well as the name and address of any injured parties if known. Any person who mistreats a dog shall be considered in violation of the Westford Dog Ordinance, and may be subject to a hearing, issuance of civil penalties, and possible confiscation of their dog. For details on what constitutes cruelty, go to the Cruelty to Animals Tab. 1. 1st Offense $35.00 fine or a written warning to be determined at the discretion of the Dog Warden. 6. Each Day that a violation continues will be considered a separate offense, and fined accordingly. After receiving a notice of a civil penalty for Ordnance Violation, the owners have the option of pleading their case in front of a judge. If they are found guilty, then they are required to pay the full amount of the fines as issued on the original complaint. However, if the owners wish to plead “No Contest”, and not contest the municipal complaint, then the following fine schedule become applicable. This is a legal term, which states that if any one part of the Westford Dog Ordinance is found to be unenforceable or illegal, the rest of the ordinance will still apply. The Westford Dog Ordinance is meant to supplement and not to limit the authority of the Town of Westford under the existing laws of the State of Vermont regarding the regulation, licensing and control of dogs, including without limitation the provisions of 20 VSA, Chapter 193. The Westford Dog Ordinance was adopted September 8th, 2005 and made effective November 7th, 2005.